Post developed by Linda Kimmel in coordination with Yuen Yuen Ang. 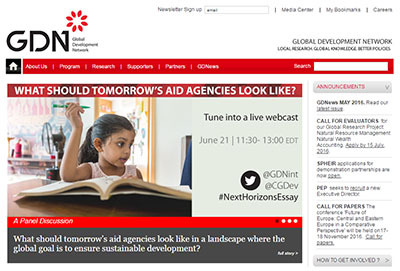 In June, Yuen Yuen Ang, Assistant Professor of Political Science and Center for Political Studies (CPS) Faculty Associate, spoke at a panel on “What Should Tomorrow’s Aid Agencies Look Like?” Jointly organized by the Global Development Network (GDN) and Center for Global Development, the event featured Professor Ang as a winning author of the GDN Essay Competition on “The Future of Development Assistance,” sponsored by the Bill and Melinda Gates Foundation. The contest invited “original and innovative thinking on development assistance.” An international jury of development experts selected thirteen winners out of 1,470 submissions worldwide. This entry was posted in Foreign Affairs, International on July 18, 2016 by David Howell. Post developed by Yioryos Nardis in coordination with Yuri Zhukov. In March and April 2014, angry mobs and armed men stormed administrative buildings and police stations in eastern Ukraine. Waving Russian flags and condemning the post-revolutionary government in Kyiv as an illegal junta, the rebels proclaimed the establishment of ‘Peoples’ Republics’ of Donetsk and Luhansk, and organized a referendum on independence. Despite initial fears that the uprising might spread to other provinces, the rebellion remained surprisingly contained. While 61% of municipalities in Donetsk and Luhansk fell under rebel control during the first year of the conflict, just 20% experienced any rebel violence. What explains these local differences in rebellion across eastern Ukraine? Why have some towns remained under government control while others slipped away? Why might two municipalities in the same region experience different levels of separatist activity? 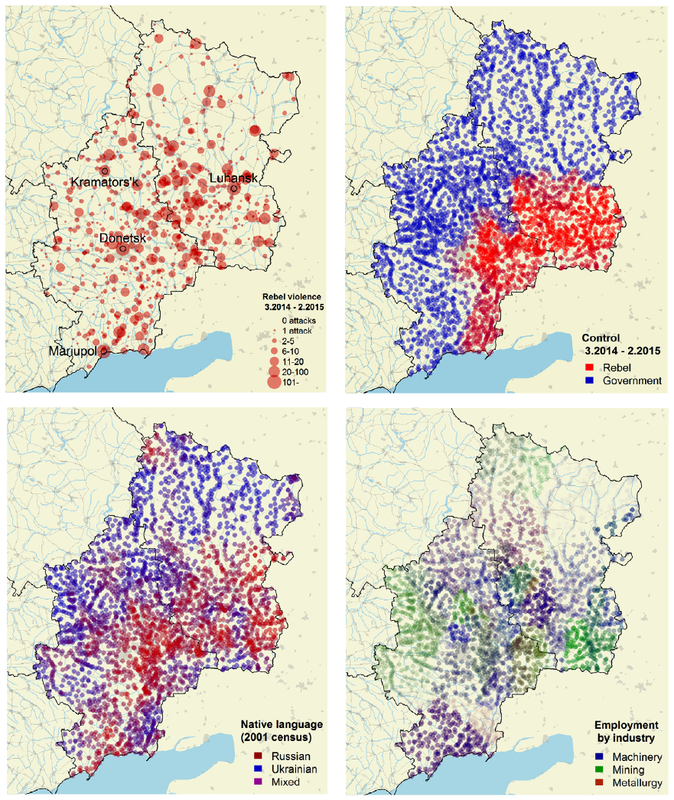 The latest research by Yuri Zhukov, faculty member in the Center for Political Studies and Assistant Professor of Political Science, uses new micro-level data on violence and economic activity in eastern Ukraine to examine these questions. In the paper “Trading hard hats for combat helmets: The economics of rebellion in eastern Ukraine” (forthcoming in the Journal of Comparative Economics) Zhukov evaluates two prominent explanations on the causes and dynamics of civil conflict in eastern Ukraine: ethnicity and economics. Identity-based explanations expect conflict to be more likely and more intense in areas where ethnic groups are geographically concentrated. According to this view, the geographic concentration of an ethnolinguistic minority – in this case, Russians or Russian speaking Ukrainians – helps local rebels overcome collective action problems, while attracting an influx of fighters, weapons and economic aid from co-ethnics in neighboring states. According to economic explanations, as real income from less risky legal activities declines relative to income from rebellious behavior, participation in the rebellion is expected to rise. This framework maintains that violence should be most pervasive in areas potentially harmed by trade openness with the EU, austerity and trade barriers with Russia. Zhukov finds that local economic factors are much stronger predictors of rebel violence and territorial control than Russian ethnicity or language. Pro-Russian rebels in Ukraine are “pro-Russian” not because they speak Russian, but because their economic livelihood depends on trade with Russia. The study uses new micro-level data on violence, ethnicity and economic activity in the Donbas region of eastern Ukraine, to understand how these two explanations are related to rebel violence and territorial control. The spatial units are 3037 municipalities (i.e. cities, towns, villages) in Donetsk and Luhansk provinces. For each municipality, Zhukov estimated the proportion of the local labor force employed in three industries: machine-building (which is heavily dependent on exports to Russia), metals (less dependent on Russia, and a potential beneficiary of increased trade with the European Union), and mining (vulnerable to International Monetary Fund-imposed austerity and cuts in state-subsidies). He also calculated the proportion of Russian speakers in each locality. Rebel violence data are based on human-assisted machine coding of incident reports from multiple sources, including Ukrainian and Russian news agencies, government and rebel press releases, daily ‘conflict maps’ released by both sides, and social media news feeds. This yielded 10,567 unique violent events in the Donbas, at the municipality level, recorded between the departure of President Viktor Yanukovych in February 2014 and the second Minsk ceasefire agreement of February 2015. To determine territorial control, particularly whether a populated place was under rebel or government control on a given day, Zhukov used three sources: official daily situation maps publicly released by Ukraine’s National Security and Defense Council (RNBO), daily maps assembled by the pro-rebel bloggers ‘dragon_first_1’ and ‘kot_ivanov’, and Facebook posts on rebel checkpoint location. To evaluate the relative explanatory power of ethnic and economic explanations of violence in the Donbas, the study uses Bayesian Model Averaging. It finds that a municipality’s prewar employment mix is a better predictor of rebel activity than local ethnolinguistic composition. Municipalities more exposed to trade shocks with Russia experienced a higher intensity of rebel violence throughout the conflict. Municipalities where machine-building represented a small share of local employment (2%, the lowest in the data) were 38% less likely to experience violence than municipalities where the industry was more dominant — and the local population more vulnerable to trade disruptions with Russia. Such localities also fell under rebel control earlier – and took longer for the government to liberate – than municipalities where the labor force was less dependent on exports to Russia. On any given day, a municipality with higher-than-average employment in the beleaguered machine-building industry (26%) was about twice as likely to fall under rebel control as a municipality with below-average employment in the industry (4%). By contrast, ethnicity and language had no discernible impact on rebel violence. Municipalities with large Russian-speaking populations were more likely to fall under rebel control, but only where economic dependence on Russia was relatively low. In other words, ethnicity only had an effect where economic incentives for rebellion were weak. The seemingly rational economic self-interest at the heart of the conflict stands in sharp contrast with the staggering costs of war. In the twelve months since armed men began storming government buildings in the Donbas, over 6000 people have lost their lives, and over a million have been displaced. Regional industrial production fell by 49.9% in 2014, with machinery exports to Russia down by 82%.Suffering heavy damage from shelling, many factories have closed. With airports destroyed, railroad links severed and roads heavily mined, a previously export-oriented economy has found itself isolated from the outside world. 2001 Ukrainian Census (State Committee on Statistics of Ukraine, 2001). Bureau van Dijk’s Orbis database (Bureau van Dijk Electronic Publishing, 2015). Segodnya, 2015. Ekonomika donetskoy oblasti v upadke iz-za voyny – gubernator kikhtenko. [Donetsk region’s economy in stagnation because of the war – Governor Kikhtenko]. Segodnya. 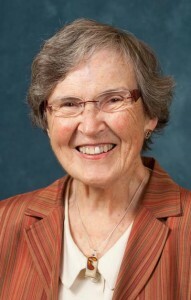 Stasenko, M., 2014. Novaya ekonomika ukrainy budet stroit’sya bez rossii i donbassa [Ukraine’s new economy will be built without Russia or the Donbas]. Delo.ua. This entry was posted in Conflict, Current Events, International, Uncategorized on November 3, 2015 by David Howell. Post developed by Yioryos Nardis in coordination with Barbara Koremenos. 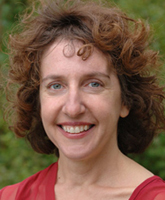 Barbara Koremenos, Center for Political Studies faculty member and Professor of Political Science at the University of Michigan has recently begun a Visiting Research Fellowship at the Kroc Institute for International Peace Studies at the University of Notre Dame. The Kroc Institute is devoted to the study of the causes of violent conflict and strategies for sustainable peace. 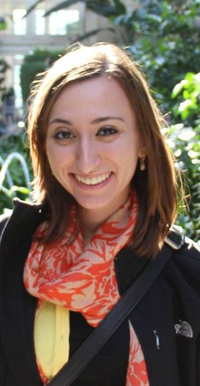 She was awarded the Fellowship to spend the 2015-2016 year studying the relationship between Islamic states and international law, and to examine how this affects Islamic states’ participation in international agreements and ultimately the peaceful resolution of differences. Koremenos was inspired by looking at a random sample of international agreements in the issue areas of economics, environment, human rights, and security drawn from the United Nations Treaty Series (UNTS), which is by far the most popular place to register international agreements. She was struck by the fact that not a single agreement in her sample was composed solely of Islamic states. Within the sample, Egypt participated in the most agreements (25 agreements) while Oman had the lowest participation rate (seven agreements). With the exception of Malaysia, every other state in the sample participated in at least as many (usually more) human rights agreements than agreements in any of the other three issue areas. Within the sample, Lebanon participated more than any other Islamic state in environmental agreements at a quite low number of five. Even more striking, participation in multilateral agreements seemed to far outweigh participation in bilateral agreements, even though bilateral cooperation is more prevalent worldwide when looking at the entire UNTS population. This is also true when looking at the sample featured in Professor Koremenos’ Continent of International Law (COIL) research program. In the UNTS sample, over half of the Islamic states participated in no bilateral agreements; Egypt was the state that participated in the most bilateral agreements (six agreements) followed by Oman and Indonesia at two bilateral agreements each. Answers to these questions will give a sense of the amount of “failed cooperation” in those states – that is, cooperation that is precluded because certain institutional design tools, that might be key to solving the cooperation problems facing states, are disallowed by Shari’a Law – and, to begin to suggest larger relationships that might impact key factors in the world of peace and conflict like economic growth. This entry was posted in International, Law, Profile on October 29, 2015 by David Howell. Post developed by Yioryos Nardis in coordination with Brian Min. Across the developing world, debate persists on whether democracy benefits the poor and how governments decide who gets access to public goods like electricity, water, and education. However, answers are limited because we lack reliable data on what states actually do in many of the world’s poorest areas where data are unavailable or of unknown quality. 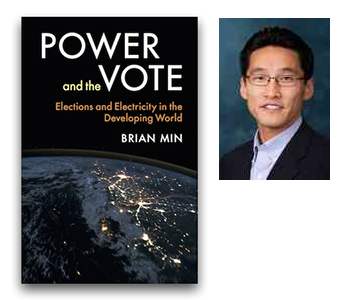 Power and the Vote: Elections and Electricity in the Developing World, a new book by Center for Political Studies Faculty Associate and Assistant Professor of Political Science Brian Min, overcomes fundamental data challenges by leveraging new satellite imagery that provides objective and consistent evidence on access to electricity, even in villages in the most remote parts of the world. New data and tests measure and observe state actions in the developing world where traditional data collection strategies are inadequate. Using satellite images of nighttime lights and other high-resolution geo-coded data across the world and over time, the book analyzes how political institutions affect the delivery of electricity to the poor. The first book to use satellite data to study public goods and development, it offers an evaluation of how governments treat their citizens. The book builds on Min’s past work on the measurement of rural electrification in Senegal and Mali and electricity and electoral competition in India to provide a new political theory of public goods provision. Min argues that public goods are valuable to democratic leaders not only because they reach many voters and are valued by the public, but also because of the political externalities they generate for electorally minded politicians. Min’s research shows that the provision of seemingly universal public goods is intricately shaped by electoral priorities. Combining cross-national evidence with detailed sub-national analysis and village-level data from India, the book suggests that the targeting of electricity provision peaks during election periods when voter attention is highest and where the political opportunity and capacity for change is highest. Power and the Vote points to the influence of electoral incentives in shaping the distribution of public goods, and challenges the view that democracy is a luxury of the rich with little relevance to the world’s poor. Policymakers and international development practitioners will appreciate the focus on the energy challenge facing the world’s poor, and insights on how politics shapes the delivery of even technical services like electricity. This entry was posted in Uncategorized on October 6, 2015 by David Howell. Post developed by Yioryos Nardis in coordination with Walter Mebane. ICYMI (In Case You Missed It), the following work was presented at the 2015 Annual Meeting of the American Political Science Association (APSA). The presentation, titled “Election Frauds, Postelection Legal Challenges and Geography in Mexico,” was a part of the session “Detecting and Concealing Patterns in Data” on Saturday September 5th, 2015. Political Science and Statistics Professor and Center for Political Studies faculty member Walter Mebane previously examined electoral fraud in Russia. Professor Mebane, in collaboration with Research Assistant Jonathan Wall, now turns his focus to Mexico and the Presidential elections of 2006 and 2012. This new research by Mebane and Wall investigates if the numbers of casillas (i.e. ballot boxes) and votes challenged and nullified in Mexico reflect political strategies or genuine election irregularities. In the 2006 elections in Mexico, nullification petitions by runners up were filed against 21% of ballot boxes (27,109/130,788), even though only .56% of votes (237,736/41,791,322) were actually nullified. Similarly, in the 2012 elections, 22% of ballot boxes (32,151/143,132) were challenged and .38% of votes nullified (184,725/49,087,466). Mebane and Wall examine how the types of nullification claims relate to ballot-box level measures of election fraud and whether the reasons cited for the challenges are uniform across the two elections and/or geography. That is, are complaints geographically clustered or does a complaint depend on geographically clustered frauds? Ballot-box level measures of election fraud are estimated using casilla vote count data. Hotspot analysis is used to show how nullification petition challenges to casillas are distributed across geography. This technique identifies which locations have local means that are higher than the overall average values and which have local means that are lower than the overall average. A redder color indicates a cluster of locations with higher than average values, and a bluer color indicates a cluster of locations with lower than average values. Grey indicates a cluster of locations that does not differ significantly from the overall mean. Figure 1 represents nullification complaints of type corresponding to willful misconduct or error in the vote count in the two Presidential elections, and Figure 2 represents incremental fraud probabilities for nullification complaints. Comparing Figure 2 to Figure 1 indicates that the pattern of geographic clustering for the incremental fraud probabilities does not correspond well with the pattern for nullification complaints. Figure 1: Nullification complaints of type corresponding to willful misconduct or error in the vote count, Mexico, 2006 and 2012 Presidential election Casillas. Figure 2: Incremental fraud, Mexico, 2006 and 2012 Presidential election casillas. In 2006 there are more widespread regions with clusters of casillas having above average frequencies of complaints than there are regions in which there are clusters of casillas with above average incremental fraud probability values. Some of the above average type clusters overlap with above average incremental fraud clusters, but more than half do not. In 2012 on the other hand, we observe the opposite. Clusters of casillas with above average incremental fraud probabilities are much more prevalent than are clusters of casillas with above average frequencies of complaints. Such patterns indicate that it is unlikely that the relationship between incremental fraud probabilities and the incidence of complaints are positively related. This therefore suggests that the occurrence of nullification petitions is related to the strategic and tactical incentives of political parties. This entry was posted in Elections, Innovative Methodology, International on September 5, 2015 by David Howell. Post developed by Yioryos Nardis in coordination with Christian Davenport. ICYMI (In Case You Missed It), the following work was presented at the 2015 Annual Meeting of the American Political Science Association (APSA). The presentation, titled “The Onset of Repressive Spells, 1976-2007,” was a part of the session “Genocide, Politicide, and Government Mass Killing” on Friday September 4th, 2015. 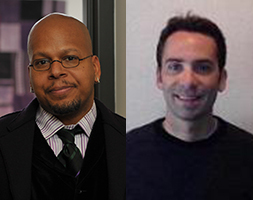 As state-sponsored repression and political violence continue to affect people’s lives across the world, the latest work of Department of Political Science Professor and Center for Political Studies faculty member Christian Davenport and Benjamin Appel, Assistant Professor of Political Science at Michigan State University, seeks to determine how it can be stopped. Professors Davenport and Appel introduce a new framework where state repression is conceived and measured as a ‘spell’. That is, a sustained campaign of higher-level state sponsored repressive behavior such as imprisonment without trial, disappearances, and torture. They turn their efforts to an examination of how to stop such large-scale systematic state repression once it is underway and which of the most common efforts used to end repressive spells are most successful: democratization, military interventions, economic sanctions, naming/shaming, international law and preferential trade agreements. Using a unique dataset data containing 239 repression spells that produce a total of 2,527 observations (i.e., spell years) between 1976 and 2007, their work investigates what can stop the duration of a high-level repressive spell. Specifically, they focus on the probability that repression ends in a year, given that it has survived up to that year. They find that large-scale state repression is unlikely to end unless the process producing the it is significantly impacted, which is more likely to result from democratization than from other common methods of curtailing state repression. In fact, a repression spell is 111% more likely to end when a state has recently democratized, usually within the last five years. Democratization works directly through replacing decision-makers and fundamentally altering the way that they are selected and held accountable. Moreover, it indirectly encourages repressive governments to reduce repression by shifting the perception of popular accountability maintained by political actors. Their results suggest that democratization is the only process that is consistently able to do stop large-scale repressive spells once underway. Additionally, democratic changes are prompted by non-violent direct action but these activities have no direct impact on spells themselves. In contrast, the international factors that are frequently highlighted in the media and among policy practitioners have essentially no impact on spell termination. These findings significantly challenge existing policies advocated by nations and NGOs around the world, calling for a re-evaluation of policies for stopping ongoing, large-scale state repression. The real-world implications of these findings are critical and suggest that to stop state repressions external political actors including policymakers, activists, and academics should pay more attention to a “bottom-up” approach, including supporting and facilitating democratic transitions, as well as backing nonviolent movements. Military interventions and economic sanctions are not likely to yield successful results. This entry was posted in Conflict on September 4, 2015 by David Howell. Post developed by Lauren Guggenheim in coordination with Vincent Hutchings. ICYMI (In Case You Missed It), the following work was presented at the 2015 Annual Meeting of the American Political Science Association (APSA). The presentation, titled “The Color of Our Skin & the Content of Our Politics,” was a part of the session “Race, Ethnicity and Political Psychology” on Thursday September 3rd, 2015. Vincent Hutchings, Professor of Political Science and Research Professor in the Center for Political Studies (CPS), Hakeem Jefferson, Ph.D. candidate in the Department of Political Science and CPS affiliate, Neil Lewis, Jr., doctoral student in the department of Psychology, and Nicole Yadon, doctoral student in the Department of Political Science addressed this question in a paper presented at the 2015 Annual Meeting of the American Political Science Association in San Francisco. Surprisingly, earlier research on this question based on data collected in the early 1990s found essentially no skin color differences in political attitudes. This result was referred to as the “skin color paradox.” Researchers suggested such differences failed to appear because skin color was secondary to racial group identity—an identity which had been rigidly reinforced over time through segregation. Hutchings and his colleagues suggest that the skin color paradox should be revisited for a variety of reasons. First, the initial findings are based on limited survey evidence, most of which was not designed to measure a broad range of policy views. Thus, it is premature to conclude that skin color is unrelated to public opinion. Second, even if the skin color paradox was accurate in the 1990s, changes in the U.S. economy in the ensuing twenty years resulting in rising income inequality, coupled with an evolving societal perspective on racial classification, made revisiting the link between skin tone and policy preferences an important and timely question. As a result, the authors reasoned that a more contemporary survey containing a broader and more extensive range of policy and race related questions should provide a more comprehensive test of the hypothesis. Hutchings and colleagues used the American National Election Studies (ANES) data from 2012, which has an oversample of Black respondents (overall N=511). Skin color was assessed unobtrusively by the interviewer at the beginning of the interview, using the scale shown below. The authors found that darker skinned Blacks were more likely to support spending on welfare benefits, more likely to indicate government should provide more services and make more efforts to reduce income inequality, and were more supportive of increased spending on education relative to light-skinned Blacks. Darker skinned Blacks were also more likely to support affirmative action in the work place as well as oppose increasing levels of immigration in the U.S. These results are all in keeping with research finding that darker skinned Blacks are economically more vulnerable and are more likely to encounter color- and race-based discrimination than lighter skinned Blacks. Next, Hutchings and colleagues conducted a separate experiment among African American subjects to see whether skin tone is an identity that can be primed, much like gender, race, or religion. That is, could the salience of skin tone be activated such that it becomes a more accurate predictor of perceptions of discrimination or racial group importance? The authors created two conditions: a control group, where subjects place themselves on the ten-point skin color scale at the end of a survey, and a treatment group, where subjects placed themselves on the same scale at the beginning of the survey. Their expectation was that the simple act of self-placement on the skin color scale would raise the salience of this identity such that it becomes more closely linked to policy and race-based evaluations. They found that the skin color prime could make disparities based on skin color more salient. First, when subjects were primed to think about their own skin tone (regardless of where they placed themselves on the 10-point scale), they reported that lighter skinned Blacks received lower levels of discrimination than darker skinned Blacks (in comparison to the group not receiving the prime). Second, while no relationship existed between skin tone and racial group importance in the control group, in the treatment group darker skinned Blacks were significantly more likely to report that their racial group is important to their identities than were lighter skinned Blacks. In sum, the paper shows that skin color does influence support for race and class based policy remedies. This entry was posted in Race on September 4, 2015 by David Howell. Post developed by Linda Kimmel in coordination with Elisabeth Gerber. ICYMI (In Case You Missed It), the following work was presented at the 2015 Annual Meeting of the American Political Science Association (APSA). The presentation, titled “Mobilizing or Demobilizing Political Participation,” was a part of session “The Public Policy Process in Comparative Perspective” on Thursday September 3rd, 2015. Sustainable development (SD) policies seek to shape economic and environmental behavior by providing households with benefits, rewards and incentives. But does engagement in SD interventions change individuals’ propensities to engage in political activities? 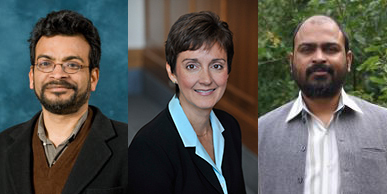 This is the question Center for Political Studies faculty members Arun Agrawal and Elisabeth Gerber, and their colleague Ashwini Chhatre of the Indian School of Business, seek to answer. Agrawal, Chhatre, and Gerber note that in new and emerging democracies the challenges of political participation are daunting due to such factors as a lack of education and weak democratic traditions. Can the skills, resources, and experiences gained through participating in SD interventions transfer to the political sphere by lowering barriers? Or, does participation in an SD intervention create additional barriers? The authors test two hypotheses, one based on social choice theory and the other on resource theory on data collected in a SD intervention in Himachal Pradesh state in northern India, the Mid-Himalayan Watershed Development Project. The project sought to improve the livelihoods of poor households, conserve natural resources, and increase local governance capacity. Participating panchayats (a local government unit) received benefits to enhance residents’ incomes and reduce their dependency on forest resources. In exchange, participants were required to attend information meetings and participate in environmental education training. Argrawal, Chhatre and Gerber selected five participating panchayats (treatment group) and five matched non-participating panchayats (control group). One member of each household was selected to complete a pre- and post-treatment survey. Key questions included measures of engagement with the SD project and two measures of political participation: (1) days campaigning in local panchayat elections and (2) number of times attending gram sabha meetings (essentially town hall meetings). Average estimated treatment effect (ATE) is measured as the difference between paired treatment and control respondents in their change in behavior (number of meetings attended and days campaigning) between 2006 (pre-treatment) and 2011 (post-treatment). When respondents in treatment panchayats are compared to those from control panchayats (Table 1, first row), there is a negative ATE both for days campaigning and attending gram sabha meetings, indicating respondents in treatment panchayats became less likely to spend days campaigning and attending meetings than those in control panchayats. Thus, the project seems to demobilize political behavior. When the analysis is limited to comparing those who actually participated in the project to their counterparts in control panchayats (Table 1, second row), the results differ, with those who participated in the project becoming more likely to attend more gram sabha meetings. When the authors reran the data limiting comparison respondents to those who lived in treatment villages but did not participate (Table 2), they found that those who participated in at least one project activity (Table 2, first row) and in each of three types of activities (Table 2, second through fourth row) became more likely to attend gram sabha meetings and to spend more days campaigning than their neighbors who did not. But why do those who directly participated in the project report greater levels of political participation post-treatment? Argrawal, Chhatre and Gerber suggest one possibility – consistent with resource theory – is that they gained additional resources through their project experience and now find political participation less costly. They plan to explore alternative explanations, including reverse causality, in future analyses. This entry was posted in International on September 3, 2015 by David Howell.